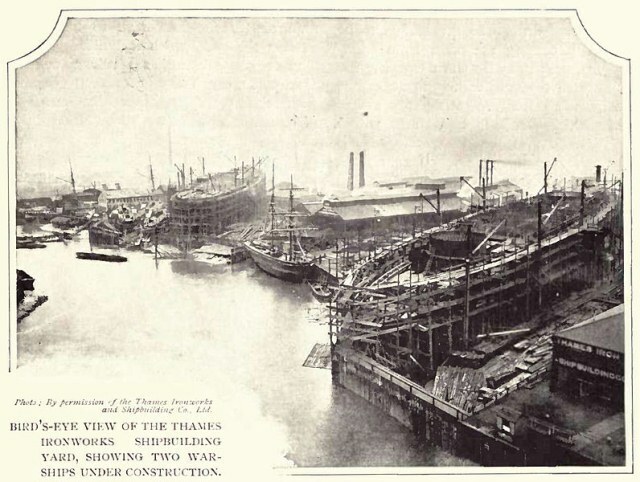 Archeaologists working at a Crossrail site in Canning Town, east London have discovered the remains of the Thames Ironwork and Shipbuilding Company. Founded in 1837, by its mid-late 19th-century heyday the company was one of the more productive of its era, counting among its projects the world's first all-iron warship, HMS Warrior, a fearsome vessel that was at one point the most powerfully-armed ship in the world. On a less bellicose level, it also built steamers like the SS Robin, now being converted into an educational facility in Docklands. Though the company is long gone, its legacy lives on. In 1895 a few of the younger lads formed an eponymous football team which, within five years, was wound up and re-born as West Ham United, whose nickname is 'the Irons'. Right from the beginning, Thames Ironworks FC found themselves a local rival in Millwall Athletic, another team formed by dock-workers; the two companies were in competition for contracts, and the hostility remains to this day. 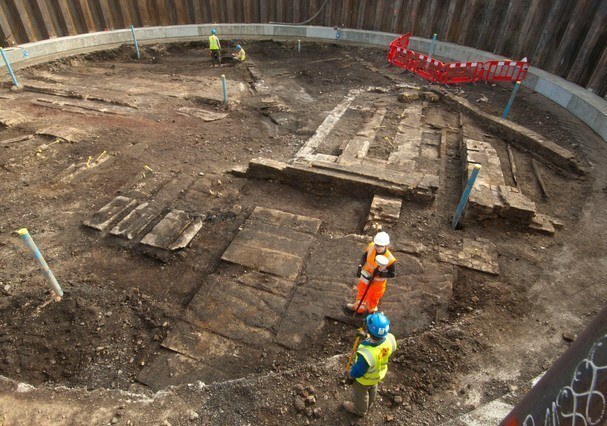 See more photographs of the excavation at the Crossrail website.